The APA designates this CME activity as meeting the criteria for AMA PRA Category 1 CreditTM. Posttraumatic stress disorder (PTSD) is a common and debilitating psychiatric illness with serious mental and physical health consequences. In this presentation Dr Javanbakht will discuss PTSD in depth. This talk will cover the epidemiology, symptoms, etiology, neurobiology including brain imaging, inflammation, and noradrenergic dysfunctions in PTSD, pharmacological treatments for PTSD. Dr Javanbakht will present the latest research findings in the neurobiology and treatments of the PTSD, and diagnostic and treatment challenges for this illness. He will also present research data on the prevalence of PTSD and other consequences of stress of civilian exposure to war among Syrian refugee children and parents, and the environmental and health correlates. He will also discuss challenges of addressing trauma and stress in refugees, and creative body based interventions that have been helpful for refugee children. following this, Dr. Kaysen will discuss the latest treatment recommendations on evidence based psychotherapies from the American Psychological Association and the International Society for Traumatic Stress Studies. These guidelines provide recommendations for providers who treat individuals presenting with PTSD based on a review of the research evidence. Dr. Kaysen will provide an overview on the psychological treatments for PTSD for adults that were strongly recommended by both sets of guidelines, focusing in particular on Cognitive Processing Therapy and Prolonged Exposure, as both organizations, using differing strategies for reviewing the research evidence strongly recommended these interventions. Dr. Kaysen will discuss the commonalities across these approaches. She will also draw upon her own work adapting CPT for use with rural Native Americans, and with communities in Iraq and the Democratic Republic of Congo to highlight applications of CPT for diverse populations both within and outside of the United States. Arash Javanbakht, MD went to medical school in Iran, and finished his research track residency at the University of Michigan Department of Psychiatry. He is an assistant professor of Psychiatry and Behavioral Neurosciences at the Wayne State University School of Medicine and an adjunct assistant professor in the Department of Psychiatry at the University of Michigan. Since 2015, Dr. Javanbakht has served as director for Trauma and Anxiety Disorder Research and the medical director for Trauma and Anxiety Disorder Clinical. His research is focused on the underlying neurobiological body and brain mechanisms in anxiety disorders and PTSD, and how psychotherapy works. He is specifically interested in the role of personal meaning and cognitive interpretation of (or information about) traumatic events in the way people are differently traumatized by those events. He also researches the neurobiology of cognitive, cultural, physical, and temporal context invulnerability or resilience to negative effects of trauma and PTSD. His other area of interest is the use of technology, in diagnosis and treatment of anxiety disorders and PTSD. He uses functional MRI (brain imaging), electrophysiology, and genetic methods in research. He has dedicated much of his work to helping Syrian and Iraqi refugees who have fled from conflict in their home regions. Dr. Javanbakht has established a team devoted to providing healing interventions to refugees, while simultaneously researching and speaking out regarding the global refugee crisis. Through his research, he has written and been featured in a number of articles discussing the role of mental health care professionals. Through a new partnership with Tanja Jovanovic, Ph.D., from Emory University, Dr. Javanbakht has advanced the Wayne State University School of Medicine's mission and established the institution as a hub for research related to trauma and post-traumatic stress disorder. His efforts result in direct care for underserved communities and provide a place for refugees to find treatment for their post-traumatic stress disorders. Because of his humanitarianism, Dr. Javanbakht has been featured on CNN for his research titled, "Risk and Resilience in Syrian Refugees." His work has also been featured at the APA, AACAP, ADAA, CNN, Aljazeera, NPR, and WaPo. For his outstanding service to the local and global communities, the Wayne State University School of Medicine recognizes Dr. Arash Javanbakht with the 2018 School of Medicine Distinguished Community Service Award. 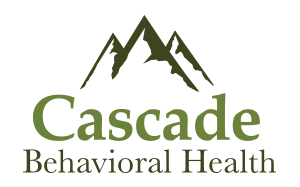 Dr. Kaysen is a clinical psychologist, and a Professor in the Department of Psychiatry & Behavioral Sciences at the University of Washington, with adjunct positions in Global Health and Psychology. She is the Director of the Trauma Recovery Innovations Program at the University of Washington, a division dedicated to developing and testing more accessible interventions for trauma-exposed populations. Dr. Kaysen has published over 100 refereed articles and her work has been supported by NIAAA, NIDA, NIMHD, DOD, and USAID. Her area of specialty both in research and clinical work is in treatment of those who have experienced traumatic events including PTSD, mood and substance use disorders. She has conducted critical studies on bidirectional relationships between PTSD and alcohol use, and on the treatment of PTSD and substance use across a variety of populations. Dr. Kaysen has conducted international studies to adapt evidence-based treatments for trauma-exposed populations for use in low- and middle-income settings such as treatment of PTSD for Congolese sexual assault survivors and Iraqi torture survivors and domestically has conducted work with rural Native Americans. You can find the videos presented by Dr. Kaysen on the ptsd.va.gov website. Live vs. Virtual Attendance: Unable to attend in person? Access the meeting virtually via Adobe Connect. Registrants who select the virtual option will be provided with instructions on accessing the meeting prior to March 16th. If you have any questions about this option, email the WSPA Office. We strongly suggest only using this option if you are unable to travel to Seattle and are comfortable using the technology. Cancellation Policy: Cancellations submitted in writing on or before 03/01/2019 will receive a refund less a $25 processing fee. No refunds will be given for cancellations received after 03/01/2019. Online registration is now closed for in-person attendees. Walk-ins welcome! This activity has been planned and implemented in accordance with the accreditation requirements and policies of the Accreditation Council for Continuing Medical Education through the joint providership of the American Psychiatric Association (APA) and Washington State Psychiatric Association. The APA is accredited by the ACCME to provide continuing medical education for physicians. The APA designates this live activity for a maximum of 3.5 AMA PRA Category 1 CreditTM. Physicians should claim only the credit commensurate with the extent of their participation in the activity.